Low Investment.Steady Recurring Revenue. Knockout Business. Request access our new exclusive Franchise DISCOVERY CENTER and learn step-by-step how owning a 30 Minute Hit franchise can truly change your life! 30 Minute Hit is the premier women’s only boxing/kickboxing circuit based fitness program. Our results driven fitness program is targeted to the fastest growing segment of the fitness industry, it has been recognized for years as a top fitness trend, and is one of the hottest sectors in the franchise industry. With one of the lowest start up costs in the fitness franchise industry, a quick ramp-up period and the potential for great financial returns, a 30 Minute Hit franchise could be just the opportunity you have been looking for! Whether you want more time with your family, time to travel or just more flexibility in your life, your own business can help you create that freedom while you help your fellow "Hitters" meet (and exceed) their fitness goals, improve their health & well-being and see firsthand the impact you can have in peoples lives. Empowering full body workout designed just for women since 2004. Circuit based on boxing, kickboxing, core conditioning and self defense. No bulky, expensive machines to maintain. With a new spot on the circuit opening up every 2 minutes, a small space (1400 – 1800sqft) can effectively service a large membership. Intensity of the workout scales with member progress – the program never gets easy, and countless workout combinations keep the circuit fresh and fun. Training Certification, membership lead generation and full suite of support programs provide everything our franchisees need to succeed! Low initial investment, low overhead, minimal staffing and recurring membership revenues. Why our Members Love 30 Minute Hit! The challenging high intensity interval training provides fast, proven results. Train on your schedule, not your gyms! No need to rush to make a class. 30 Minute Hit Certified trainers instructing, motivating and helping you achieve your results every time! One membership, unlimited monthly training, valid at ALL locations. In business for yourself, not by yourself ...using proven cutting edge tools & systems. Work how you want, where you want and when you want with our integrated cloud based applications. Everything from marketing to member management and everything in between is at your fingertips wherever you are, letting you keep your finger on the pulse of your business at all times. A culture of support and inclusion is at the heart of our CommunHITy. Our custom built live training systems connect and encourage productive and rewarding relationships between all franchisees. We offer exclusive training sessions to our franchisees to not only improve your skill level but to learn from experienced instructors the most effective methods to train your members. At our annual SUMMHIT, all of our franchisees gather together for a fun event with guest speakers and importantly to connect with one another. Learn directly from top performers on what they do to achieve their growth. So far, as an organization, we've been able to help raise almost 1 million dollars towards funding Cancer research during our franchise wide fundraiser "Kick the *&%! out of Cancer". We offer one of the most competitive initial investment ranges in the fitness franchise space, and with total costs between $100,000 and $165,000 is one of the most affordable ways to enter rapidly growing fitness industry. Full breakdown of capital requirements and related opening expenses is available in our Discovery Center. No problem. We have lenders ready to help put you on a solid financial footing when starting your new business. If you're smiling HIT's working! Build HIT and they will come! Q. What type of training do I need? Don't worry, no need to be a champion kickboxer :) The systemized and structured format of the 30 Minute Hit circuit, combined with our comprehensive and on-going training programs allows new franchisees with no previous experience to start teaching proper technique in no time! All that’s needed is a great attitude to get started with your own 30 Minute Hit kickboxing fitness franchise. Q. Is 30 Minute Hit the right fit for me? There are a few basic requirements that we look for in new franchise owners to help ensure a 30 Minute Hit is a mutually good fit. Candidates should be passionate, motivated and health minded, team players. Q. Do I need to commit to multi-units? We offer both single and multi-unit opportunities so new franchisees can decide how large of a region they plan to service. Amazing management tools and well-planned development schedules, make owning more than one HIT a terrific option in most areas. Q. How much are the Franchise Royalty fees? Royalty Fees are based on a fair flat fee system starting at $500/month, as we believe that a franchisees hard-earned money should stay in their pocket. Q. What type of training is provided? As part of your initial training you will receive in depth physical instruction on how to operate a 30 Minute Hit training floor as well as onsite classroom training in business operations, marketing, sales and more. In additional there are live bi-weekly training sessions available to all franchisees where you will continue to learn and improve your skills and knowledge. Q. How much space is required? A space between 1400 and 1800 square feet depending on the layout is ideal. We work carefully with all franchisees to ensure spaces are appropriate and that they offer good economic value and business potential. Q. Will 30 Minute Hit help me find a location? We have a systemized process to help with everything from analyzing available spaces to lease negotiations, and facility layouts. We are here to help, answer questions and get you up and HITTING! Q. What about hiring staff? Although we have an owner/ operator requirement the amount of staff is determined by each franchisee and having 2-3 part-time staff is most common as staff requirements are simple. We provide a fully detailed staff training program which allows you to hire, train and manage staff efficiently. Q. Do I need any additional equipment? All equipment for the 30 Minute Hit circuit is included in the H.I.T.S. Equipment Package, which comes with a one year limited warranty. Ready for more information? Get access to our discovery center and take your next step! Access the Forecast Calculator, learn about our HIT success systems, view testimonials, and much more! Register for the Discovery Center below to learn more about the opportunity, and see if a 30 Minute Hit is available in your region! Learn about the 30 Minute Hit’s approach to franchisee success and how our values guide the HIT business model. See why a 30 Minute Hit franchise could be the turn key business you have been looking for. Discover our custom built cutting edge tools and systems unique to the 30 Minute Hit. Access powerful tools to forecast start-up costs, revenue potential, net income and ramp-up time. Information contained on this website regarding franchise information in no way constitutes an offer to sell a franchise in the United States of America. The offer of a franchise can only be made through the delivery of a Franchise Disclosure Document. The information on this web site, is not directed by us to states that require that we register the Franchise Disclosure in those states. Thanks for your interest in learning more about one of the hottest available women’s fitness concepts on the market! For a detailed look at what makes the 30 Minute Hit so special, simply submit your info to the right, and we will get back to you with your personal invite to our exclusive Franchise Discovery Center. Once inside, you’ll get access to detailed information, in a quick and simple step by step guided process, on everything you need to know in helping decide if becoming a 30 Minute Hit Franchise Owner is right for you! See our support systems and management tools. The 30 Minute Hit is definitely not your typical gym. Not a typical women’s only gym. And certainly not a typical Kickboxing gym. The 30 Minute Hit is a special place, that inspires and empowers women through a unique community like nowhere else. Our Philosophy is simple. Give women of all shapes sizes, ages, abilities and fitness levels the opportunity to do something they never thought possible and the power to be amazing! The 30 Minute Hit is 30 a minute women’s only express fitness program combining Boxing, Kickboxing, Self Defense and Core conditioning to create one of the most rewarding workouts anywhere. In just 30 minutes members can punch, kick, sweat, learn, burn and burn their way to results they never thought possible. A comprehensive systemized approach to quality training, assures the best experience for all members every time they train and streamlined operations for franchise owners. The results are life changing, for both our Franchisees and their members. While participants of the program become happier people, our Franchise Owners get to realize their goals of helping others and living the balanced lifestyle they have always wanted. 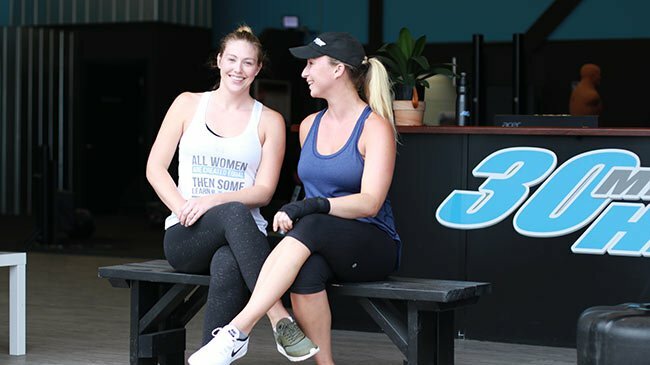 More than a decade ago Co-Founders Deanna and Jackson Loychuk recognized the need for something different in the Women’s Only Fitness market. Fast forward ten years and more than 50 Franchise Locations later, it would be safe to say that they were on the right track. Traditionally, women who wanted the well established benefits of Boxing, Kickboxing and Self Defense style training were relegated to the standard intimidating and rigid martial arts class format, partnering up with men twice their size and often focusing on skill sets that were not a great fit or did not really contribute to the ultimate training goals of most women. With this in mind Deanna and Jackson went to work on creating a new and exciting fitness format designed specifically for women, based on the couples extensive experience in martial arts and fitness. What developed, through research and testing, was a fast paced, time-efficient, high intensity, 30 minute circuit, teaching quality Boxing, Kickboxing, Self Defense and Core conditioning skills, creating one of the most effective 30 minute fitness routines anywhere. The result is a workout that challenges all fitness levels from beginner to pro and teaches proper technique in a logical systemized progression in a non-intimidating judgement free, inspiring environment. Today the 30 Minute Hit continues to grow, empower, energize and excite women of all shapes and sizes, and we are proud to be changing so many lives one punch and kick at a time! The 30 Minute Hit is more than a business. It’s a way of life that our Franchise Owners cherish. It’s about being part of an amazing team, helping to inspire thousands of women every day and creating a lifestyle for yourself you have always dreamed of. The 30 Minute Hit Family of Franchise owners pride themselves in working together to provide the absolute best experience possible to all of our amazing members, and in turn feel blessed to be part of such an inspiring community. Beginning in 2004, the 30 Minute Hit has lead the way in High Intensity Training and Women’s only Kickboxing, which are now recognized as significant segments within the fitness industry. Today our rapidly expanding network of Franchise locations continues to prove our amazing system and change lives one punch and kick at a time! An inspiring, rewarding and flexible lifestyle! Unmatched support in helping you succeed! A cost effective – low maintenance business model! The opportunity to make meaningful change in your community! A chance to truly LOVE what you DO! What’s included in a 30 Minute Hit® Kickboxing Franchise. 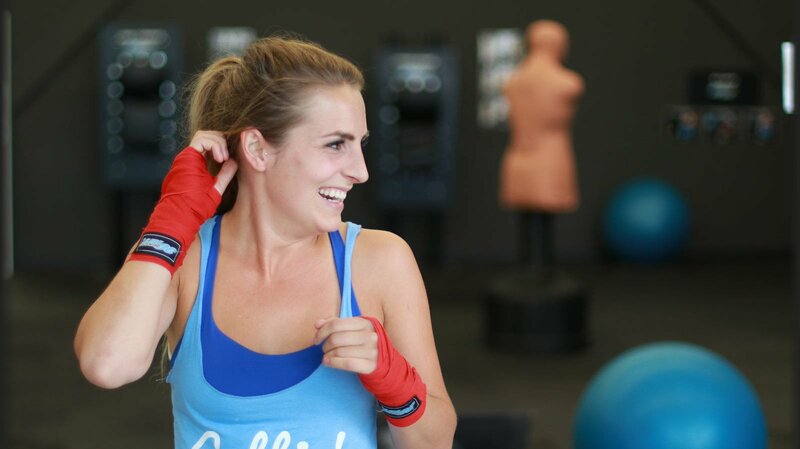 The Women’s Only Fitness market is big, and getting bigger! As a matter of fact, there are now more women with fitness memberships than men and most women prefer to workout in a women’s only environment when given the choice. Combine this, with the projected growth in the fitness industry and the Women’s Only Fitness market looks to have a great future! Growing concerns of obesity, particularly among women, and the fact that women represent the single largest consumer business opportunity (over $8 trillion per year) together with the reality that women influence 80% of purchase decisions, make it clear why women only fitness is the fastest growing sector in the $84 billion health and fitness industry which is predicted to grow at 1.5% with franchise brands predicted to grow at 3% in the next 4 years. In the last ten years, the number of health club members has more than doubled in North America to more than 60 million.This sharp and steady increase will continue to grow with expanded awareness and focus on health-related issues in society. This accepted relationship between fitness and a healthy lifestyle, combined with the more recent acceptance of combative sports training as a staple of functional fitness and direction of general fitness trends will continue to increase the 30 Minute Hit® market share as market trends continue to strengthen the higher quality, specialized service boutique fitness sector, as millennial customers are predicted to increase spending on premium brands in health & wellness. In addition, the rapidly rising popularity of Kickboxing style training will continue to create a culture within our society that embraces the concept of empowerment and strength though this style of fitness training. A bigger demographic means higher revenues. Unlike other women’s only circuit-based fitness centres, (whose primary demographic is 40 years-plus) catering mainly to obese and very unfit members utilizing a slow paced exercise format, 30 Minute Hit® draws women ages 13-65 with a wide range of fitness levels and abilities. With its upbeat atmosphere and accommodating program, typical members span from high school students, to new mothers, to experienced Black Belt martial artists, and even grandmothers creating the opportunity to increase revenue through higher market share. What makes the 30 Minute Hit different from other women’s only workouts? Well, that is a pretty long list, but one thing that stands out is the amazing community of 30 Minute Hit Franchisees and their members. Firstly, we are a unique team truly driven by the passion for what we do. And this makes it easy to see why we are so close knit. From the President of the company to our dedicated and loyal members, everyone is included and recognized for their hard work and achievements as a team. Secondly, our team members support each other and the greater good. The stories are endless, from the unwavering support of our Franchisee network to fellow Franchisees to the support and encouragement our members receive from fellow members in reaching their goals, the 30 Minute Hit is so much more than just a gym or a business. It is a team of passionate people looking to make a difference in the lives of those around the, who in turn become the people they want to be. Lastly, we are driven to succeed, and empowered by those around us. We truly feel the sky is the limit when you are determined and focused and our members and Franchise owners are proof positive of that. Whether it’s record sales in a new 30 Minute Hit location, raising more than half a million dollars towards Women’s Cancer Research, or having a 30 Minute Hit member lose over 200 pounds in a year and reclaim her life, HIT happens when the Team works together! When it comes to recognition for your efforts, nothing means more than the appreciation of the team you work so hard for every single day. We are beyond proud our franchisees have selected the 30 Minute Hit as a top franchisor in providing opportunities and support to our team. Who makes a good 30 Minute Hit Owner? Great 30 Minute Hit Franchise owners come in many shapes and sizes, but two things they all have in common are energy and passion. We can teach anyone how to run a 30 Minute Hit Franchise, but the focus and commitment on helping others lead healthier more positive lives sets our great Franchise Owners apart! Our Franchisees come from many walks of life ranging from fitness enthusiasts, to stock brokers, to personal trainers, to young Mom’s, husband and wife teams, to best friends and partners and everything in between. In short, being a great owner is not about what you are, but instead who you are! You are a positive person who likes people and working as part of a team. You are passionate about fitness and leading a healthy lifestyle. You love helping others succeed in reaching their goals. You welcome the opportunity to be your own boss. If the above points describe you, and you feel like you have more to give those around you than your current job allows, we would love to hear from you! And that's what so great about joining the 30 Minute Hit Franchise Team. You get a template to work from, tools to do the job, and all the support you need to be successful in your business. All you need to supply is the passion and energy to do what you love. We have countless success stories of Franchisees who have opened the doors to their new business and new lifestyle without any formal business training or experience and we are confident that if you are ready to join our team you will be our next success story! So if you are feeling like your current job is just not where you want to be and your tired of watching the clock 9-5, we would love to hear from you! An amazing team to help you every step of the way! 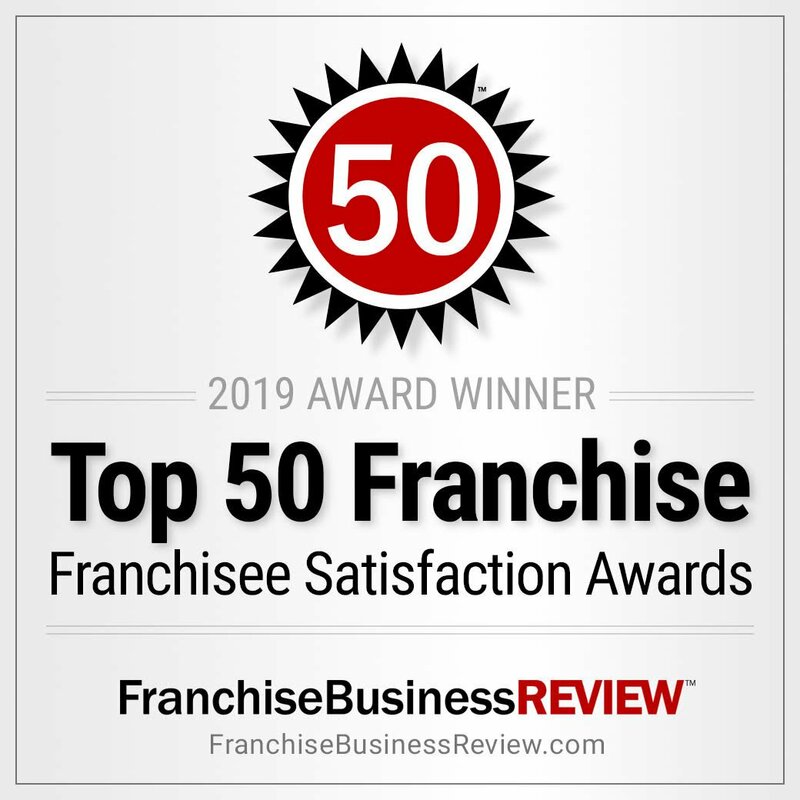 As a 30 Minute Hit Franchise Owner, you will have access to our custom cutting-edge tools and support systems on every step of your journey to success! Web based Interactive Operations Guide and Management tools to give you instant access to all the information you need to run and grow your business, anytime, anywhere. Your HIT Dashboard includes: Operations Guide, Training Guide, Support Centre, Leads Manager, Leads Booking System, Member Manager, Franchisee Communications Centre, Email Marketing Manager, Resource Centre, Statistics Centre, Staff Manager, Webcam viewer, and much much more! All this at your fingertips no matter where your are! Your request for access to the 30 Minute Hit DISCOVERY CENTER has been submitted! Thanks so much for your interest in accessing the 30 Minute Hit Discovery Center! Our team is excited to get to know you a little bit better and help you decide if owning your own 30 Minute Hit is right for you. You will be receiving a confirmation e-mail right away to let you know we have received your information. A team member will be in touch shortly to confirm a convenient time to chat and get you started on your simple step by step information gathering process in the Discovery Center. We look forward to the possibility of welcoming you to the 30 Minute Hit team!